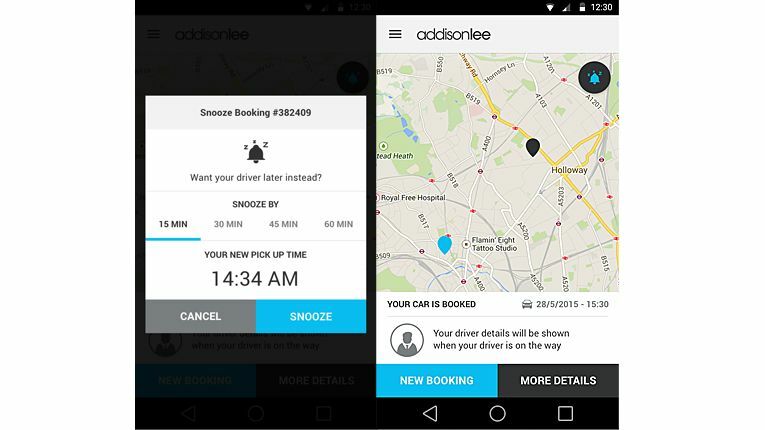 Minicab firm Addison Lee have just unveiled a new in-app feature that allows you to delay a cab pick up from anywhere between 15 to 60 minutes. The delaying function is selected by tapping a 'Snooze' button within the company's app and allows a booked car to be delayed, multiple times if necessary, without making a call or cancellation. The service has been designed primarily with over-running meetings in mind, allowing users to quickly and silently delay their pickup. The Snooze-enabled minicab app can be downloaded here.